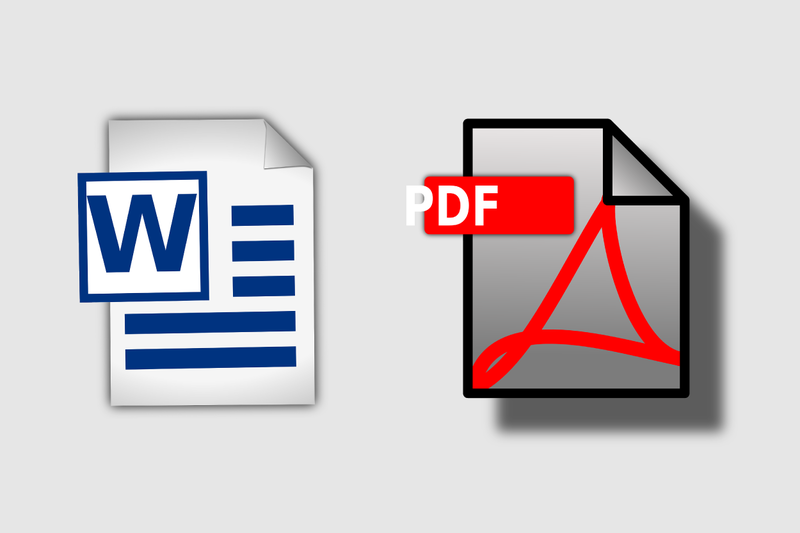 Home/Adobe, File Sharing, Microsoft Word/PDF and Word DOC: Which File Format Is Best and Why? 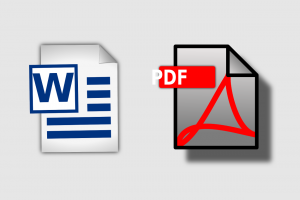 Portable Document Format (PDF) and DOCument (DOC) are two popular but different file formats that people use to create and save their documents. PDF was developed by Adobe Systems while DOC files are created inside Microsoft Office (MS) Word. There is a difference between the two file formats. DOC files are easy to create, edit and format. MS Word that creates DOC files has lot of features for this purpose that is why it is the first choice when somebody wants to write a letter, memo or an article. MS Word is actually a word processor or say an authoring tool and allows DOC files to be saved in PDF format also. When some editing is required one can easily go back to Word, make changes and can save the document again as PDF. Adobe’s Acrobat on the other hand does allow conversion of DOC files into PDF but there are limitations to edit content. PDF is basically a delivery format and can easily be exchanged while retaining the same formatting and design as accomplished originally in DOC files; content and formatting in DOC files related to graphics especially is likely to become messy when exchanged electronically. Apart from this, PDFs can easily be opened, read and printed on any computer independent of the software in which the file was originally created. Why PDF Is Preferred over DOC Format? PDF format is secure and trusted. Individuals and companies prefer to create official document in PDF format because that cannot be edited or modified without leaving a digital footprint. That is why legal experts suggest that documents presented before the court of law must be of PDF version. Moreover, facility to put electronic signature on a PDF file makes the document more authentic. Sensitive information or copyright material need more protection and Adobe offers password protection option to enhance the security of PDF document so that no one can alter, copy or print the document without the permission of the person who authored it. An electronic file converted into PDF compresses around 25% of the original size. This compact nature of PDF is not only good for file exchange on a network/internet but ideal for storage as well. Smaller file size saves hard drive space on your computer. The format is searchable and easy to archive, find, categories and organize. Compared to a DOC file PDF small size allows it to open quickly on workstation and saves time. Acrobat smoothly converts file formats like Word (doc), Excel (xls) and PowerPoint (ppt) into PDF that is of high quality. One can print them at once, even this format is acceptable to professional printers. PDF format offers greater integrative features allowing to combine text, images, graphics, audio and video files in one document. One can even put buttons, interactive field and buttons as required. All these features help create a rich document suitable to make presentations and portfolios. Not to forget that the document is secure than any other format. By Tanveer ul Islam|2018-11-11T10:54:46-05:00October 18th, 2018|Categories: Adobe, File Sharing, Microsoft Word|Tags: Adobe Acrobat, File Format, PDF format, Word DOC|Comments Off on PDF and Word DOC: Which File Format Is Best and Why?